Could future Phoenix freeways be built as toll roads? Re: Could future Phoenix freeways be built as toll roads? Now that seems like a stupid idea. People will just use I-10 to avoid the toll. Maybe ADOT will lower the speed limit on I-10 to 55 mph to get people off I-10 and onto SR 30. ...or just make the speed limit on the toll road 80 or 85? *Unless there's absolutely no other possible way to fund it. And to get any highway in the state to have an 80 or 85 mph speed limit would require the state to raise its criminal speeding threshold, which states that speeds above 85 mph on any highway (regardless of the posted speed limit) is considered a criminal offense. This law has killed past attempts to raise the state's maximum speed limit above 75. I didn't know that- I always thought it was 20 mph over the posted limit only, but you are correct. I'm surprised there hasn't been any push to update that in the legislature. There was a bill in the 2000s that would have increased the maximum speed limit to 80 and the criminal threshold to 90, but that bill eventually died. Apparently raising that criminal threshold is a tough sell to our state's politicians. The study will take 6 months. Also, it looks like ADOT completed the study for the Pinal North-South Corridor and it was found for tolls to be not feasible. Probably due to Coolidge's opposition. If tolls are not feasible for the Pinal North-South Corridor, what makes ADOT think tolls would be feasible for SR 30? I think you answered your own question there. Coolidge doesn't want it because the people who live there like living in a small town far away from the cities and don't want that changed. SR 30 will serve primarily suburban traffic that wants to have better connections to the city. 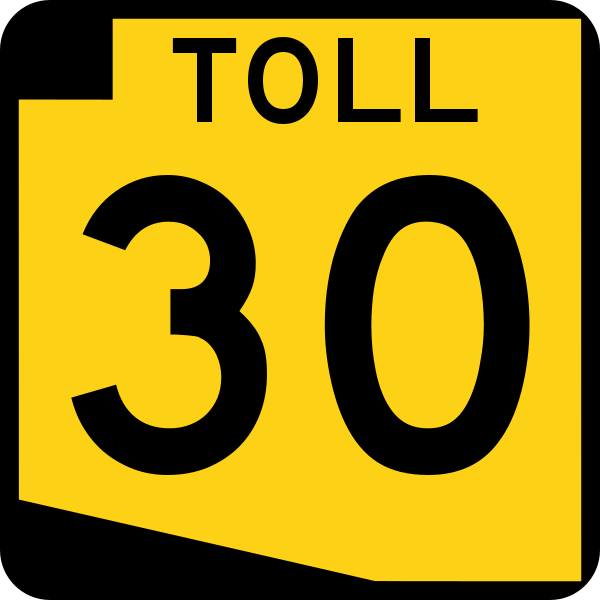 The yellow color was chosen to make the shield easily identifiable, and at the top of the shield the "ARIZONA" text is replaced by "TOLL" similar to "LOOP" replaces "ARIZONA" on the 101, 202, and 303. 85 mph on an Arizona interstate is reckless? That's insanely low, especially for a western state like Arizona. 96+ would seem more appropriate. What is strange is that very few people (even-in-staters) seem to be aware of it, unlike Virginia where even out-of-staters (especially in neighboring states) are aware of their equivalent law. I wonder if there is a significant difference in enforcement rates between the two states. It would be interesting to know what are the 85th percentile speeds on Arizona's rural Interstates. Well I know that in Texas on US 90 and on US 385 I sometimes drove up to 90 mph. 90 mph is not reckless in Texas and I imagine that a lot of Arizona is probably pretty similar to western Texas. I think in Indiana reckless driving is 25+ over the speed limit (or 90 mph), which seems reasonable. But getting pulled over on I-10 in Arizona for going 86 in a 75, and that being considered reckless driving driving seems very outrageous. Yeah, if you set your cruise control at 75 on any of Arizona's rural interstates, you are one of the slow pokes and you'll get passed by pretty much everyone except for trucks and old people. On a side note, I used to think that I-17 was an exception where speed limits shouldn't be raised to 80 (and some parts of it shouldn't) but I've come to realize that 80 is quite a reasonable speed for most of it. Yup! Thought Boston was crazy... Now, not so much. Phoenix drivers are weird and rude.